Since we reported back in September on a new series of books detailing the history of the Beatles Apple company, there’s been a flurry of activity and a lot of further information coming through. There are a couple of further very interesting draft sample pages now available here and here. (These come with a “big file” warning and may take some time to download). For Apple fans these both contain great info and photos. And there are now details about some special offers and bonus material which will come with Volume 1 of A is For Apple. One Apple artist has given the publishers permission to release two rare recordings with the project. 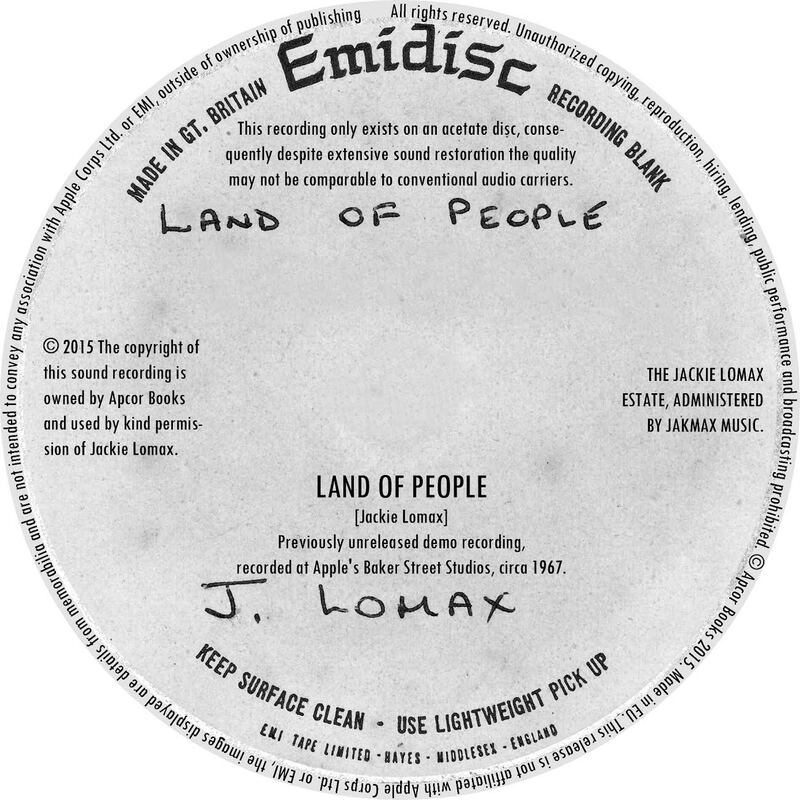 Jackie Lomax, just a couple of days before his tragic death in 2013, signed an agreement to include an exclusive 7“ vinyl of his previously unreleased track ‘Land Of People’, and the demo version of ‘Is This What You Want?’. Both songs will be included with Vol. 1 of A is For Apple. 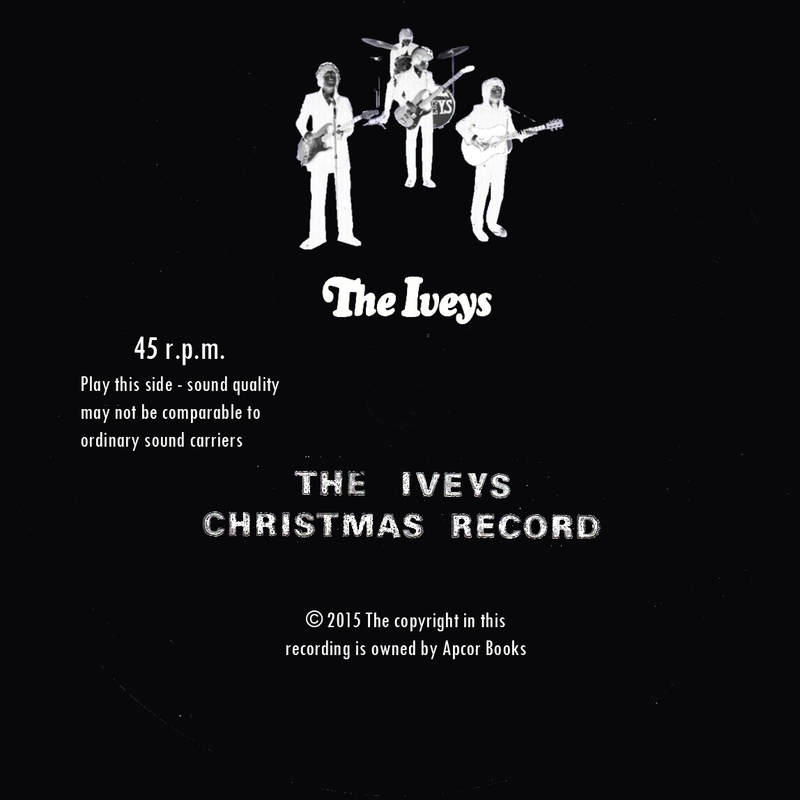 In late 1968 The Iveys (later to become Badfinger) taped a Christmas message for their fans just like the Beatles had done since 1963. But contrary to the Beatles‘ annual Crimble messages this one has never been released. 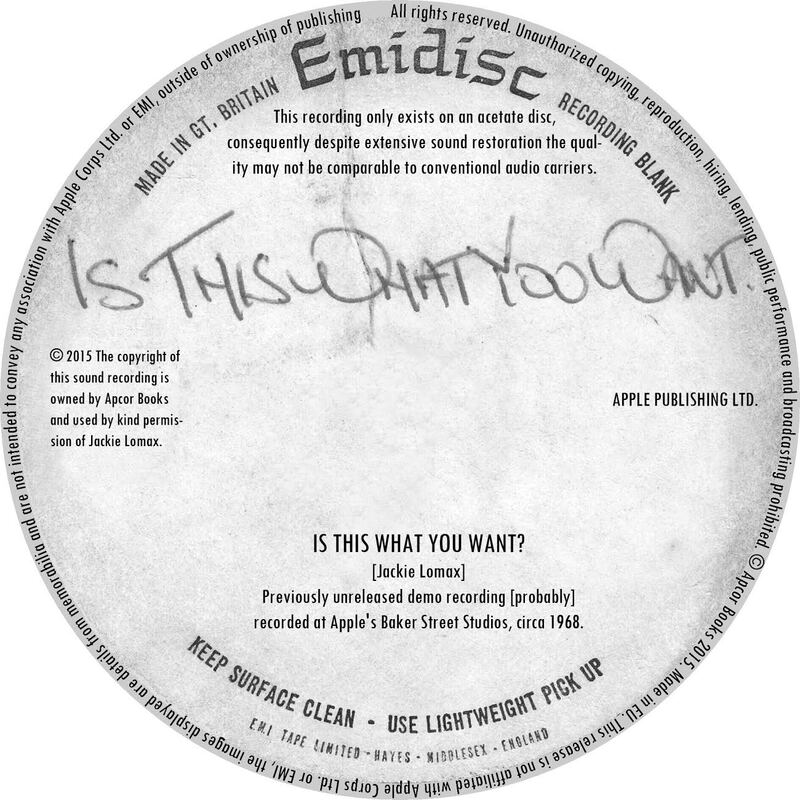 Only very recently the A is For Apple people got permission to include this Christmas flexi disc that never was. For the whole story of the project so far see the A is For Apple website. This entry was posted in Apple Records, Badfinger, Beatles, Beatles Books, Beatles Collecting, Beatles Music and tagged A is for Apple, Apple Records, Badfinger, Beatles, Beatles Books, Beatles Collecting, Jackie Lomax, Music, The Iveys by beatlesblogger. Bookmark the permalink. Looks fab. The recordings are a great bonus to include. I wonder about the front cover though – presumably they included the Mini car because it’s a 1960s icon – but they have the 2001 model which is quite a bit different from the 1960s car (and much bigger too). It doesn’t look right in a 1968 scene. Thanks for pointing that out. I agree that the cover looks really good, but there was something about it that wasn’t quite right. You’ve hit the nail on the head – it is that modern-day Mini Minor shape which is wrong. 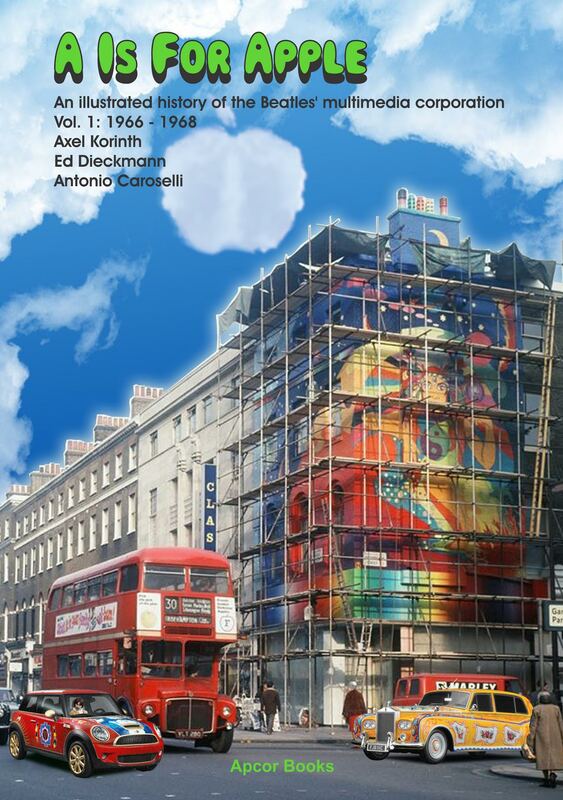 I can see what the artist is trying to achieve – a further Beatle presence in the traffic alongside the scaffolded exterior of the Apple boutique. There is John’s painted Rolls Royce – which would have been contemporary with the time of the main photo, and the Mini with George driving is a nice touch too, but as you say – it is a modern Mini shape, not the original iconic 1960’s version. There are lots of photos of George driving such a vehicle. I think his was mildly painted up in a psychedelic mode too. And the other Beatles also had Minis as well. Yes, that was a mistake. The graphic artist who is working for us is currently putting in George’s 60’s Mini and as well as another gimmick. So this cover isn’t final yet – but we wanted to show it nevertheless.